Fig. 6. 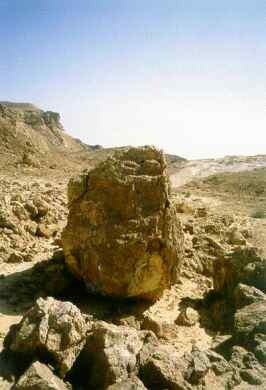 Boulder with an anthropomorphic face, partially natural and partially completed by man. Visible in the background are traces of the trail to the plateau from the Paran Desert. (Site HK 106d; photo EA99 XVIII-20; WARA W05868).